Our electronic torque wrenches prove themselves in various screw connection scenarios. 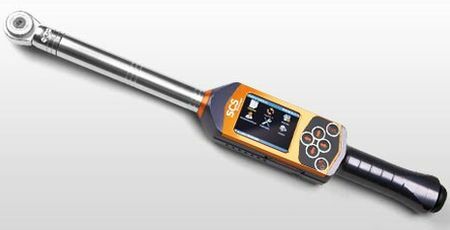 The torque values are monitored by LED and a clearly laid out display. The advanced models provides expanded possibilities. The torque and angle wrenches have an additional sensor for combined torque / rotation angle bolting. Further functions to detect existing screw connections and monitor angle-tightening speed guarantee greater process reliability for almost all screw connection types. With a total of eleven different measurement methods. The most advanced model of the series offers the best possible support for the worker and at the same time the greatest reliability for screw connections. All torque wrenches can be equipped with automatic tool recognition for tool holders and can be connected in a wireless network to backup all resuls values.